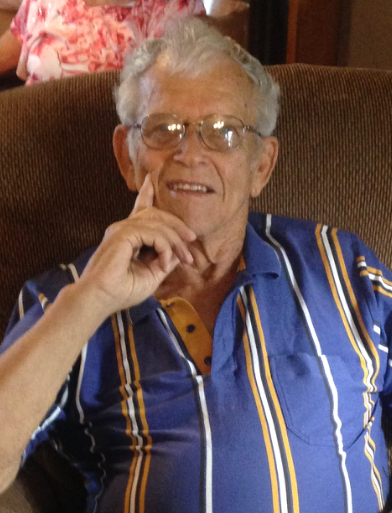 Ron Kelsheimer, 80, of rural Cedar Point, Kansas died Thursday, November 1, 2018 at St. Luke Hospital in Marion, Kansas. The son of Ira and Margaret (Collins) Kelsheimer, Ronald Gene was born August 30, 1938 in Florence, KS. He was active in various activities including playing football and basketball throughout his high school years at Florence High School where he graduated from in 1957. He and Joan M. Widler were married May 26, 1960 in Florence. Ron worked for the Santa Fe Railroad as a signal maintainer until his retirement in 2000. They lived on a farm in rural Cedar Point and he enjoyed being a farmer/rancher. Taking care of his cows was important to him. He followed his children’s, grandchildren’s, and great-grandchildren’s activities. He had been a member of the Homestead Friends Church. Ron is survived by his wife, Joan, of the home; a son, Ron Kelsheimer (Cindy) of Strong City; two daughters: Teresa Kelsheimer of Cedar Point and Cindy Walden of Overland Park; a brother, David Kelsheimer ( Laurie) of Walton; three sisters: VelDonna Swartz of Newton, Cheryl Miller (Lowell) of Walton, and Regina Cornelius of Weston, MO; seven grandchildren, and four great-grandchildren. He was preceded in death by his parents and a brother, Dennis Kelsheimer. There will be a visitation held Tuesday, from 6:30 until 7:30 at the Brown-Bennett-Alexander Funeral Home in Cottonwood Falls. A celebration of life service will be Wednesday at 1:30 PM at the Flint Hills Community Church in Cottonwood Falls with burial in Hillcrest Cemetery in Florence. Memorial contributions to the St. Luke Hospital Foundation or to the National Alopecia Areata Foundation (to support individuals and families who experience sudden hair loss)may be sent in care of the funeral home, PO Box 220, Cottonwood Falls, KS 66845. Online messages may be left at Brown-Bennett-Alexander Funeral Home on Facebook.